Because of the exceptionally high proportion of imports in Britain’s food supply and the determined efforts of the enemy to sever the supply lines, efficient management of food resources was an essential element in the British national war effort. This volume was the first comprehensive study of this vital aspect of government strategy and fills a gap in the historiography of this period. This volume provides a balanced picture by drawing together the diverse elements that went into food policy: economic and social trends, international trade relations and labour issues. 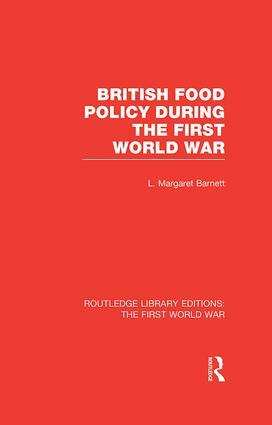 The author also traces the evolution of food policy during the pre-war planning period and the early part of the war, and analyses the roles of the United States and the labour organizations.